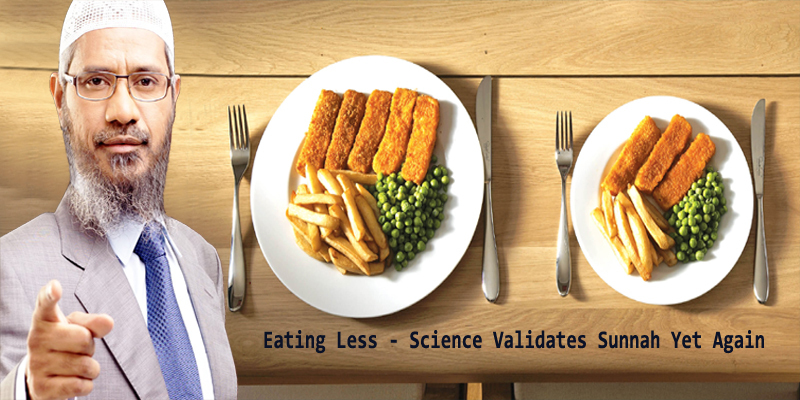 DO you know that scientists have recently found that eating less leads to a healthier and longer life? And that eating less is exactly what the Prophet (pbuh) recommended 14 centuries ago? Isn’t that amazing?! “Primary” or “intrinsic” aging, which refers to the wear and tear of body cells and tissues, and the collection of toxins in our cells as we grow older. Interestingly, this is a natural phenomenon that acts as a curb on the length of our life, and currently limits the maximal lifespan of humans to approximately 120 years. “Secondary aging” refers to those diseases and ailments that are increasingly prevalent as people grow older, like cancer, diabetes and cardiovascular disease. Without these natural processes – or if these processes are substantially slowed down, which is what researchers aim to study during this trial – we might be able to live much longer, healthier lives with none of the physical effects of aging. We read in the Qur’an that Prophet Nuh (Noah) (peace be upon him) lived among his people for “a thousand years less fifty years”, (Qur’an, 29: 14). In Qisas-ul-Anbiya (Stories of the Prophets) by Ibn Katheer, we read about the lifespan of several Prophets which were considerably longer than our current standards. While we may never know the secret behind their longevity or be able to increase the length of our own lives (as this is a matter decreed by Allah, the knowledge of which is with Him alone); we do have the key to live a healthier, more productive life by following the guidance of the Prophet (pbuh). What is amazing is that this Prophetic guidance predates scientific studies that link caloric restriction to longevity and better health by 14 centuries! It is only recently that a number of research papers published in several medical journals have demonstrated that human subjects following calorie-restricted diets show a significant drop in risk factors for cardiovascular diseases and cancer. In an experiment at Cornell University in the mid-1930s, calorie restriction has been repeatedly shown to extend the lives of mice, rats and other animals. The New York Times reported in 2009 on an ongoing experiment at the University of Wisconsin on rhesus monkeys, which began in 1989, which shows that “monkeys on restricted diets are healthier and more vigorous and seem destined (at least at the moment) for a longer life”. Besides the obvious physical benefits of eating less, there are several spiritual benefits that are confirmed by the people who practiced this Sunnah. May Allah enable us to follow “Khayral-Hady” (the best guidance), which saves us from afflictions in this world and the next.